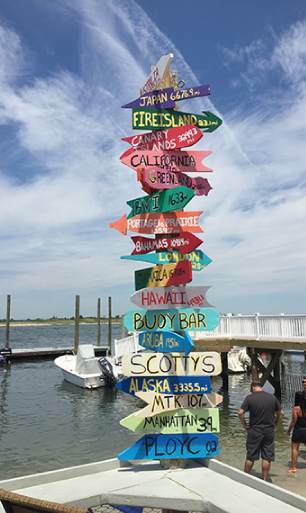 Welcome to Scotty’s on the Bay! We have been located in beautiful Point Lookout, NY since 1929 and every season gets more and more exciting. All of our seats overlook picturesque Reynolds Channel. Scotty's is a great place, to relax and unwind, with your feet in the sand. Our casual menu features dishes ranging from lobster sliders and coconut shrimp, to a crisp ceasar salad and buffalo wings. 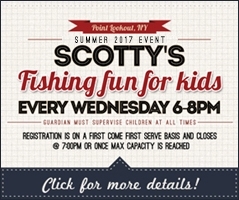 Scotty’s on the Bay has an adjoining children’s beach which provides summertime fun to keep children occupied while dining. Scotty’s on the Bay is a great place to grab a bite to eat and hang out on a lazy afternoon with spectacular views. Scotty’s is open seven days a week. We do not accept reservations and seating is on a first come first serve basis. Gratuities are not accepted on credit cards but we do have an ATM available on the premises. 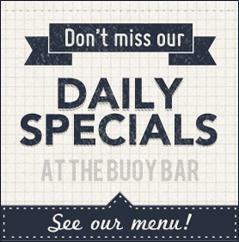 We also offer free boat docking seven days a week until 6pm.